From setting and customization to minigames and dynamic horse balls, we round up 10 confirmed features and details about Red Dead Redemption 2. With the release of Red Dead Redemption 2 looming ever closer, video game fans have begun tingling with anticipation, eager to dive into Rockstar's latest release. Many details about the game have been doled out over the past few months, giving players insight into everything from the setting and world to characters, abilities, weapons, and more. The pool of available information is considerable, but we've got 10 specific highlights that are worth mentioning specifically. Rockstar has revealed not one, not two, but three Special Edition packages for Red Dead Redemption 2. The Special and Ultimate Editions provide varying levels of in-game goodies, with the Ultimate Edition including all of the Special Edition features as well as some extra bonuses, plus an exclusive steelbook case. 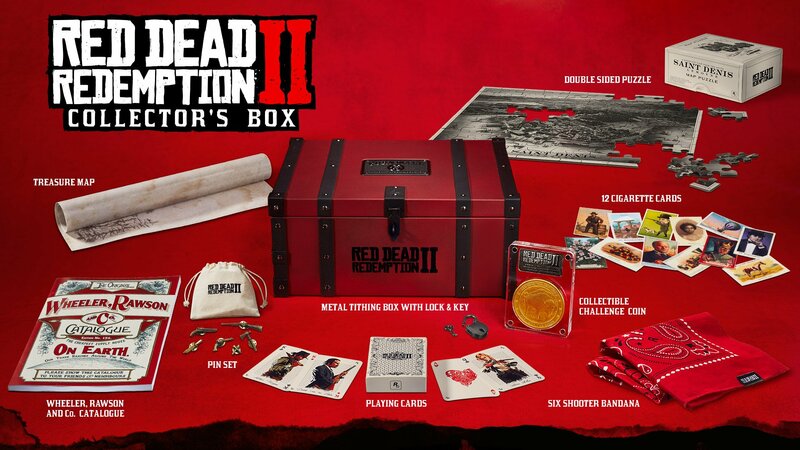 The Collector's Box may not actually include a copy of Red Dead Redemption 2, but it is absolutely stuffed with RDR2-related items like pins, maps, books, cards, and more. For more information about all of these sets, including details about pre-order bonuses for standard editions of the game, be sure to check out our guide to all Red Dead Redemption 2 Special Edition packages and bonuses. This one's more than a little divisive: Rockstar has opted to make Bank Robbery and Gang Hideout activities exclusive for players who buy either the Special or Ultimate Editions of the game. To clarify again: these modes will not be available to those who purchase the base version of the game. People might be upset by the developers essentially locking side activities behind pay gates, but that's the world we live in. Of course, there's no guarantee that the activities will stay exclusive forever; maybe Rockstar will unlock them through time, or perhaps offer them later as a paid DLC. Either way, players who don't want to miss out should be sure to seek out one of the game's special edition packages. 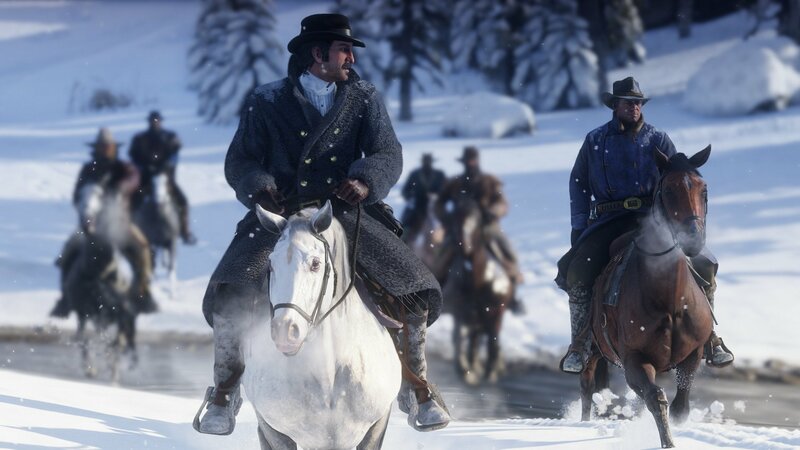 Being an open-world title developed by Rockstar Games means throwing in loads of activities outside of the main story, and Red Dead Redemption 2 follows suit with a host of activities to help round out the experience. Card games like Poker and gambling make their return, as does fan favorite Five Finger Fillet. 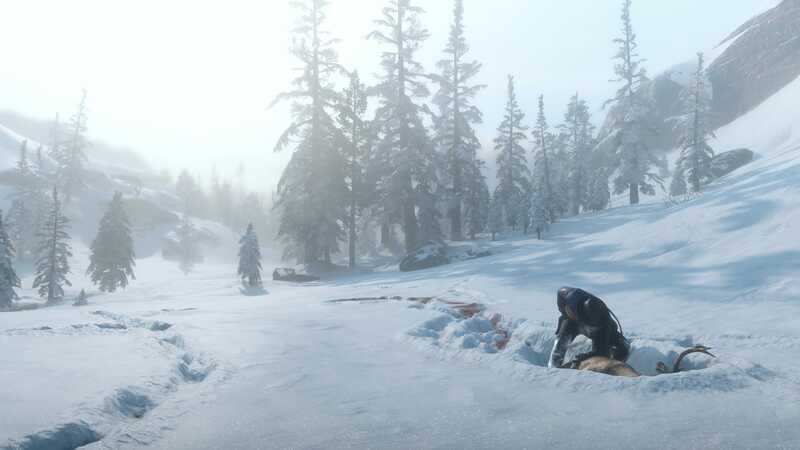 Beyond those, the game also puts a heavy emphasis on survival and hunting, which is used not only for food and other basic necessities, but also to improve conditions and moods around the camp. It took many months for Rockstar to give Grand Theft Auto 5 the option to play using a first-person perspective, but that option will be unlocked right at the outset of Red Dead Redemption 2. In fact, the entire game can be played in first-person if the player so chooses, which will certainly be an attractive prospect for those looking to get the most out of the game's all-but-inevitable PC release. With consideration to the many visual effects featured in Red Dead Redemption 2, the team at Rockstar has made a considerable effort to keep horse anatomy as realistic as possible. Fans will note that the realistic horse anuses revered within the first Red Dead Redemption have returned, and the addition of horse testicles that respond dynamically to the climate will almost certainly not be distracting in any way. 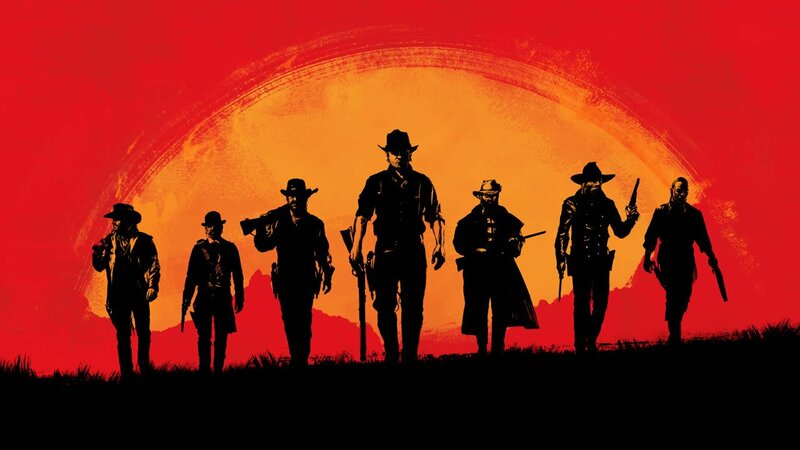 The story of Red Dead Redemption 2 takes place around 1899, a period of American history marked by growing settlements and technological innovation. This setting places the events of the game shortly after the formal end of the Wild West era, in a time when telephones, electricity, and automobiles have already been invented but aren't yet widespread. 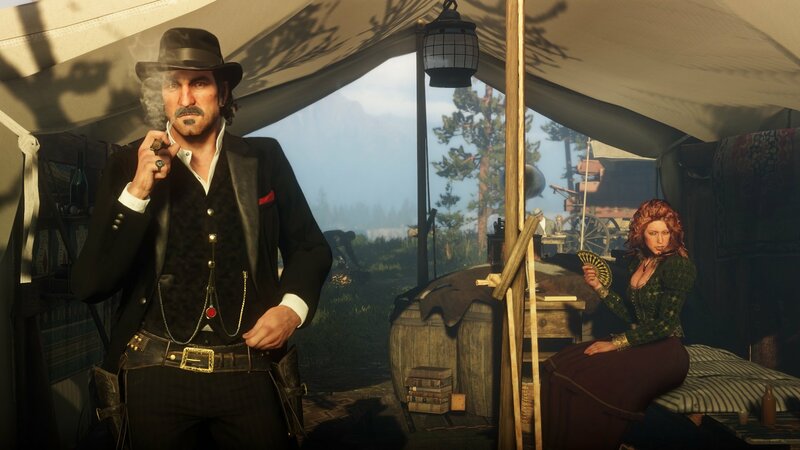 Granted, Rockstar can and likely will take several liberties with the game's setting, but a deeper understanding of the time period can help players get the most out of the game by playing off the national and political climate around the turn of the century. Many of the elements in Red Dead Redemption 2 can be custom-tailored to suit individual tastes. 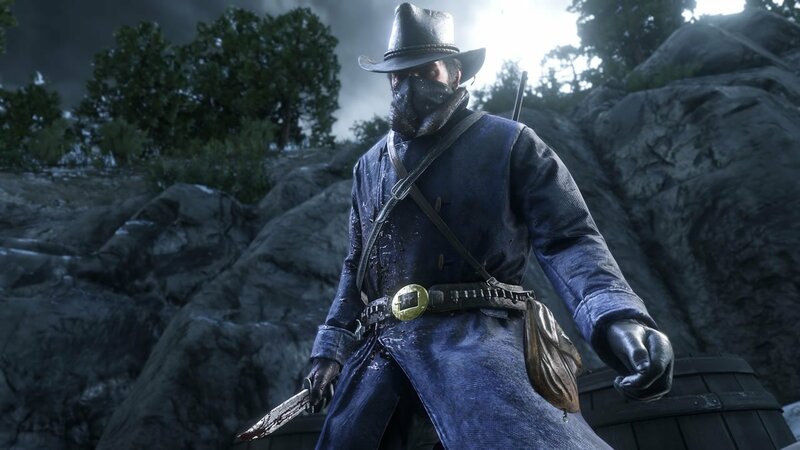 The main character Arthur Morgan can be decked out in loads of different clothing and gear; his hair and beard will grow in real time; hell, players can even choose whether or not Arthur keeps his shirt tucked in or not. 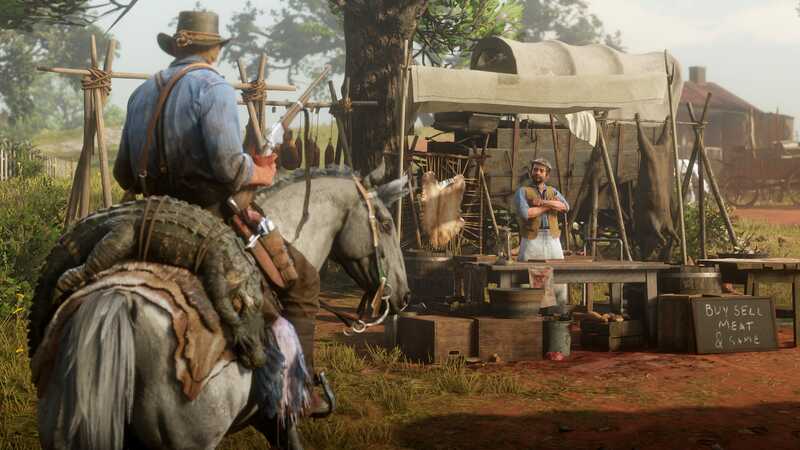 Guns can be custom engraved, horses be groomed and equipped with different saddles and stirrups, and camps can be rounded out with extra hitching posts, food stocks, trophies, and even rugs. 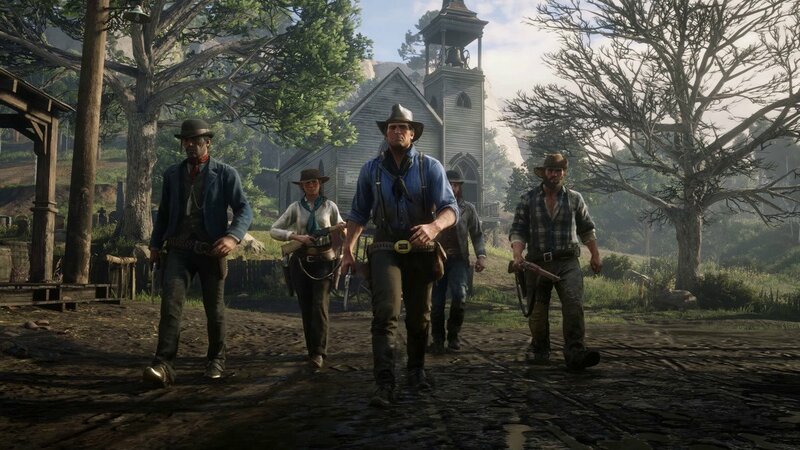 On top of all that, non-player characters will respond to all of these various changes, driving home the notion of Red Dead Redemption 2 as a completely custom-tailored experience. Late last month, Rockstar revealed the upcoming availability of Red Dead Online, a multiplayer component of Red Dead Redemption 2. Like with Grand Theft Auto Online, Red Dead Online will offer players the chance to get up to some Old West-style fun in the company of close friends or complete strangers. We're still waiting to hear more about the settings and activities that will be available within, but we do know that Red Dead Online will launch as a public beta sometime in November. 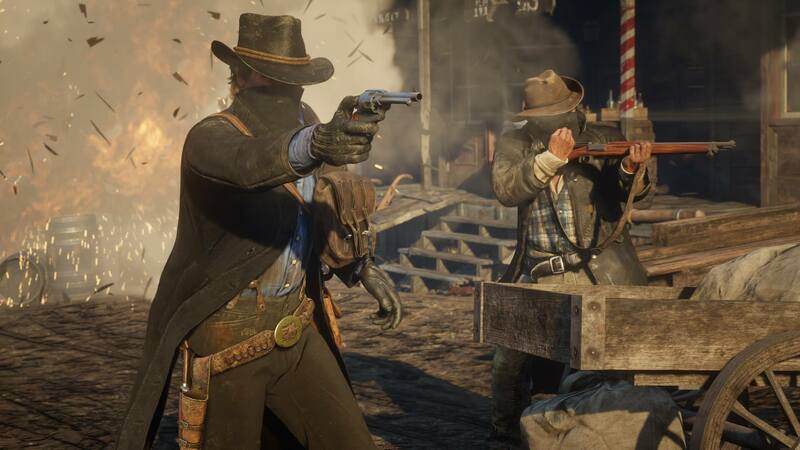 Toward the notion of playing in a dynamic world that responds to player input, Rockstar has confirmed that the Honor system from the previous Red Dead Redemption will return in Red Dead Redemption 2. Players will be able to direct Morgan's action through several different dialog and activity options, and the results will dictate the hero's standing throughout the world. Though not strictly labeled as good or evil, a player's tendency to remain level-headed under pressure or respond to criminal inclinations will follow them through the remainder of the adventure, and will affect everything from attitudes from NPCs to quest availability, shop prices, and more. Through the past weeks and months we've been given so many in-depth looks at Red Dead Redemption 2, but above all those details, one fact reigns supreme: the release date. Red Dead Redemption 2 will be landing on October 26, 2018 for PlayStation 4 and Xbox One. Rockstar is still remaining tight-lipped about the availability of a PC release, but we're convinced that Red Dead Redemption 2 will release for PC — we just don't know when. What has you excited about Red Dead Redemption 2? Let us know in the Chatty below.